Grove Team Keller Williams: Should I Hire a Buyer's Agent When Purchasing a New Home? Should I Hire a Buyer's Agent When Purchasing a New Home? 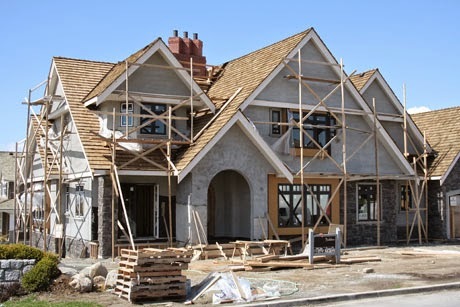 With the inventory of resale homes at a record low, many home buyers are considering new construction. New homes are finally becoming more available as builders have been able to ramp up after the credit and building collapse of 2007-2008. New homes at various price points are being built in North Richland Hills, Southlake, Keller, the Alliance Airport area, Grapevine, and Trophy Club. Many buyers believe that a buyer's agent is not necessary when purchasing a new home; however, an experienced agent can help prevent costly mistakes. An agent from the Grove Team can advise on subdivisions and locations. Many times a knowledgeable agent can foresee problems a subdivision might encounter. For example, transportation might be an issue because of road construction or vacant land surrounding the subdivision could be developed in a way as to discourage resale. A certain lot may be beautifully private now, but future development will create noise and traffic. If the builder has listed homes in the MLS or if homes have resold in the area, a Grove Team REALTOR will provide access to past sales purchase prices. Using this information, the buyer might be able to negotiate a better price or higher level of design choices. A member of the Grove Team can point out the differences in a builder contract and one promulgated by the Texas Real Estate Commission. While not practicing law, the agent might point out certain sections of the contract the home buyer might want to consider carefully, perhaps with an attorney. Builder contracts are usually written to protect the builders' interests, sometimes at consumer expense. Since members of the Grove Team have assisted many buyers of new construction, they are able to point out common mistakes when building for the first time. They can also advise on design choices that are better for resale. As your representative, Grove Team members are able to ask hard questions that the buyer might be reluctant to ask. There are no perfect houses, even new ones. Grove Team members can offer recommendations on staged inspections as the home is constructed. If the buyer is purchasing a completed home, the agent can suggest various inspections before closing. The Grove Team is comprised of experienced transaction coordinators as well as selling agents. These transaction coordinators closely monitor the progress of the transaction and ensure that all important documents are in order. A skilled transaction coordinator can make the difference between a smooth closing and a nightmare. If you are thinking of purchasing new construction, please contact the Grove Team at 817-337-0000.